Ready for a business address? Click below to register your virtual office today! Its cool to work in PJ's and slippers! With a Space4Work Business Address, you can work in your pyjamas, at home, in a fast food restaurant or on a train. Work in the early morning, late at night or whenever you want. Do you live in rented accomodation or run an online trading businesses ? You can work wherever and whenever knowing your business is giving off a great impression for your customers and suppliers with a high quality professional business address. Keep your work and home life separate from one another ensuring privacy for you and your family. We are HMRC registered and run a really high quality Virtual Office Service to allow you to get on with running your business and more importantly separating your work life from your home life. Our prices start from as low as £ 30 per year for a Limited Company registered address to £ 20 per month for a full trading address. Starting a new limited company? Register with us first, then use our business address on your companies house application to keep your home address private and secure. 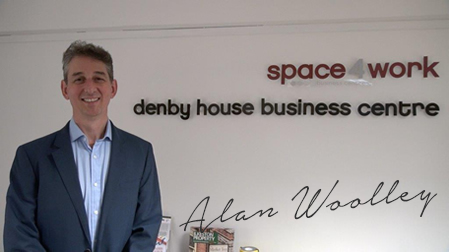 Alan Woolley - Director, Space4Work Ltd.